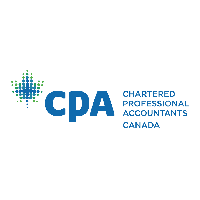 Chartered Professional Accountants of Canada (CPA Canada) is the national organization established to support a unified Canadian accounting profession. A progressive and forward-thinking organization, CPA Canada members bring a convergence of shared values, diverse business skills, and exceptional talents to the accounting field. As one of the world’s largest national accounting bodies, with more than 210,000 members across the country and around the world, CPA Canada carries a strong influential voice and plays an important role in influencing international accounting, audit, and assurance standards to ensure that these standards are appropriate for Canadian market needs. Now, celebrating the fifth anniversary of CPA Canada’s creation, the organization will continue to transformation and seek opportunities to innovate and deliver on its vision and mission. Reporting to the Senior Vice President, External Relations and Business Development, the Vice President, Precertification Education is responsible for providing strategic direction and operational oversight for the development of the CPA Certification Program. In this role you will work closely with the CCE, the PEMC and the CPA Provincial and Regional education bodies to support the development of world class precertification programs for the CPA Profession. In addition, a member of the CPA Canada Management Committee, you will play a lead role in the strategic management of CPA Canada as well as work closely with your own leadership team to foster the achievement of a constructive culture capable of adapting to growth and change and ensure the Canadian CPA is the pre-eminent, globally respected business, and accounting designation for the future. As the ideal candidate, you bring experience and knowledge of prequalification competency-based education design in a professional designation granting industry. Your graduate level degree is paired with a proven track record of successful leadership of virtual teams comprised mainly of subject matter experts and professionals within a corporate environment, professional body, or administrative function. You have leadership experience in a complex, multi-stakeholder environment and are comfortable working in collaborative and partnership arrangements. Your exceptional judgement, problem solving, and decision-making skills and high energy, gravitas, ambition, and result oriented style will allow you to be highly effective, persuasive, and influential in a transforming and changing environment. A PhD in Accounting or Education, Master’s degree in Education or MBA and CPA designation would be considered an asset. Fluency in French is also highly desirable. If you’re interested in this opportunity, contact Anna Stuart, Jason Ozon or Janet Rose at 1-866-822-6022, or please apply online by clicking “Apply Now” on the button below. CPA Canada offers a unique flexible and balanced working environment that allows individuals to maximize professional and personal development. We are committed to cultivating an inclusive, accessible environment, where each employee feels respected, valued and supported. If you require a disability related accommodation to participate in our recruitment process, contact KBRS and we will be happy to work with you to meet your needs.